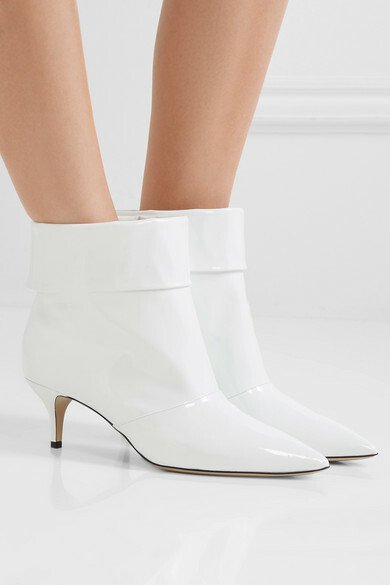 White ankle boots were spotted all over the runways again this season - they look so sleek styled with everything from straight-leg jeans to floral-print dresses. 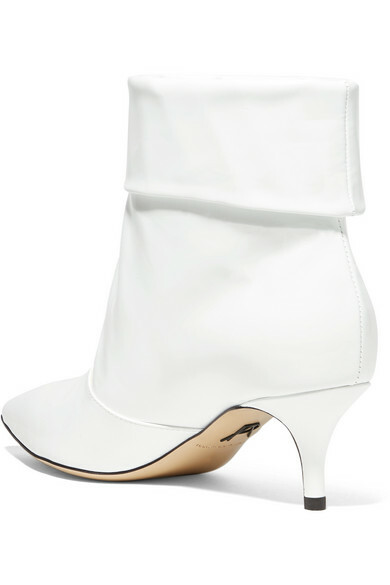 Paul Andrew's 'Banner' pair has been crafted in Italy from patent-leather and has a point-toe silhouette and 55mm kitten heel. The top panel can be worn straight up or folded over into a cuff. 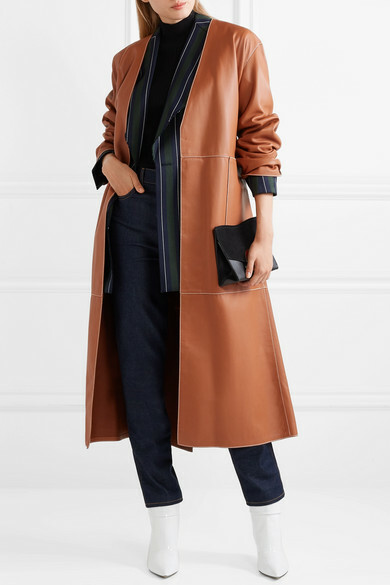 Shown here with: Loewe Blazer, Michael Kors Collection Sweater, Khaite Jeans, Proenza Schouler Shoulder Bag.